• BLACKFISH: fishing is very good. Time to fish deeper (40-80 ft) around slack tide, especially with the full moon approaching. Rapid Rock, Race Rock, Sarah’s Ledge, inner Bartlett Reef, Two Tree Island (flood tide), various smaller locations east to Watch Hill are still fishing well. You may want to try rock piles or reefs that are away from the more popular areas to increase your chances of finding a keeper sized fish. Green, Asian or Hermit Crabs will work, especially on jigs. Consider putting the crab (bait) on a chartreuse and orange jig (1.5 – 3.0 ounces in weight/depending on tide and wind). The lighter the jig the better...feel more bites. Use braid in 30-50 lb class and/or a 50 lb fluorocarbon leader (sensitivity to feel the bites is important). Also use a 4/O Gamakatsu hook (Octopus style) when using bait. I would highly recommend planning a trip on a party/charter boat trip to fish for tautog this fall. • STRIPED BASS fishing is excellent. The Housatonic River is red hot, along with the CT River up to Wethersfield Cove and the upper Thames River (north of Montville). Fish have been moving into the estuaries and tidal rivers to feed heavily on the bait. The reefs in Long Island sound are still producing fish that have begun their annual fall migration. There is still plenty of Atlantic menhaden (bunker) or hickory shad around that can be used as bait. Live bunker on a three-way or slider rig on the local reefs and rip areas can still provide some results. 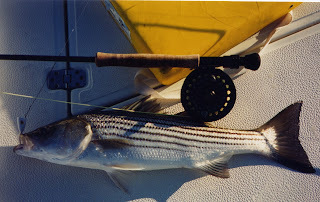 Other striper spots include the lower Mystic and Thames River, the Race, Sluiceway, Plum Gut, Pigeon Rip, outer Bartlett Reef, Black Point, the “humps’ south of Hatchett Reef, lower Connecticut River (Dock & Dine shore fishing access), Long Sand Shoal, Cornfield Point, Southwest Reef (outer), Sixmile Reef, Falkner Island area, the reefs off Branford, New Haven Harbor (Breakwalls) and the upper reaches, Charles Island area, lower Housatonic River, buoys 18 and 20 off Stratford Point, Stratford Shoal/Middle Ground, Milford Point, Penfield Reef, around the Norwalk Islands, and Cable and Anchor Reef. 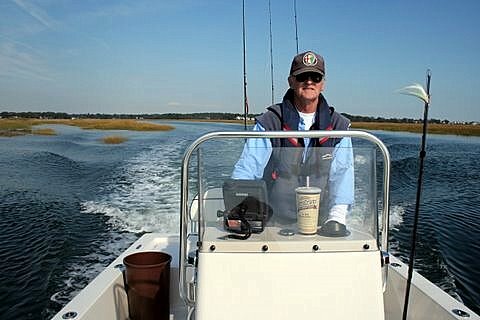 • BLUEFISH fishing is still very good. Especially inshore along the beaches (coastal state parks) and fishing piers. If you’re looking for these “choppers” now’s the time before it’s too late. They can be found throughout the Sound (find the bait/birds). The top-water bite is fantastic. Bluefish fishing spots include the reefs off Watch Hill, the Race, Thames River, Sluiceway, Plum Gut, Pigeon Rip, lower Connecticut River, CT DEEP Headquarters, Long Sand Shoal, Sixmile Reef, Falkner Island area, New Haven Harbor and upper reaches, lower Housatonic River, buoys 18 and 20 off Stratford Point, Stratford Shoal/Middleground, Penfield Reef, Norwalk Islands and Cable and Anchor Reef. • ATLANTIC BONITO & FALSE ALBACORE fishing is amazingly very good. These tunas are getting bigger, with many topping 10 pounds or more. Niantic Bay to Watch Hill is your best bet. You can also find large schools from Millstone Point to Race Rock and the western shore of Fishers Island. Fish the current brakes and choppy water...be ready for a quick strike. Dawn and dusk is typically the best time to fish for these inshore tunas but they can be caught during the daytime. A quiet approach and finding birds (gulls/terns) actively feeding is the key to a successful trip. • BLACK SEA BASS fishing is red hot on all the major reefs and wrecks throughout Long Island Sound. Fish deep (80’ -120’) with 8 to 12 ozs of weight. When releasing fish suffering from “barotrauma”, a buildup of swim bladder gases, try using a recompression tool to help get them back to the bottom quickly. Moreinformation is available at FishSmart.org. • PORGY fishing has started to slow down as fish start their migration to offshore overwintering grounds. Some scup can still be caught on the local reefs or from shore. Locate your favorite Enhanced Shore Fishing Opportunities for these hard fighting and excellent eating “Reef Slammers”. • HICKORY SHAD fishing has really picked up. Large schools can be seen on the surface feeding in lower rivers and estuaries. Your best chances are in the lower Connecticut River (DEEP Marine Headquarters fishing pier), Housatonic River, East and West River, Lieutenant River, and Black Hall River.